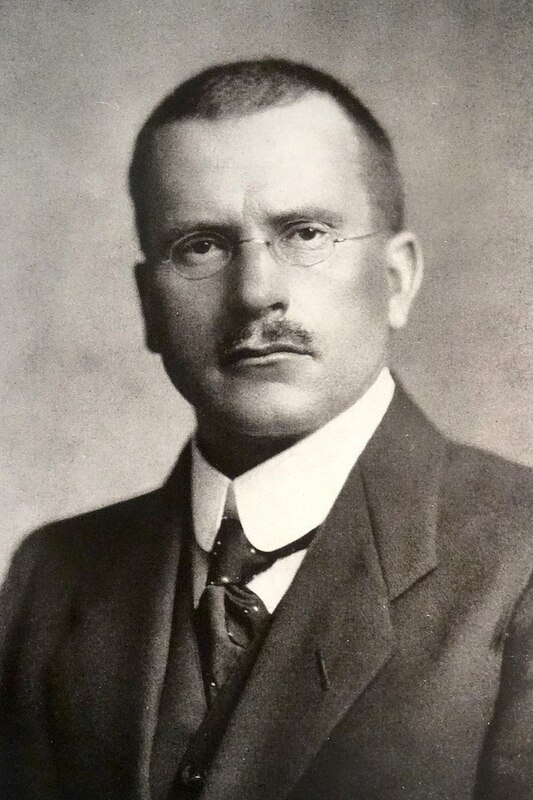 The great Liberal theologian Rudolf Bultmann once expressed the key dilemma of modern Christianity like this: ‘We cannot use electric lights and radios and, in the event of illness, avail ourselves of modern medical and clinical means and at the same time believe in the spirit and wonder world of the New Testament’. Such wonder world included for Bultmann the domain of ghosts, angels and ultimately a man rising from the dead. We can find meaning in various religious words and metaphors which have endured. We might even, suggests Bultmann, discover profound existential uplift (a series of meaningful personal symbols) in these stories. But we cannot believe in them, in the same way that we believe in radio waves, dishwashers and wifi. Yet, despite Bultmann’s protestations about modernity, this, phrase of human development continues to pass many by. A cursory glance at the Body Mind and Spirit section of one’s local bookshop confirms that there are lots of people who use antibiotics, iPads and microwave ovens, who at the same affirm a world which includes faith healing, channeling, spirit-guides and automatic writing. Such people (including many Friends) may function as rational-agnostic beings for much of their lives, but they still need a language and a practice to express, ‘the mysterious’, the initiative and the uncanny. Regardless of the extent to which we take these individual phenomena seriously, they speak to a spiritual condition far more complex than Bultmann allows. This has been confirmed to me personally many times. Again and again I’ve had the same conversation. After Meeting, a Friend confides in me that they are learning Reiki, using Tarot cards or believe in angels. Yet, they do so in a cursive, embarrassed or hesitant tone. Why? 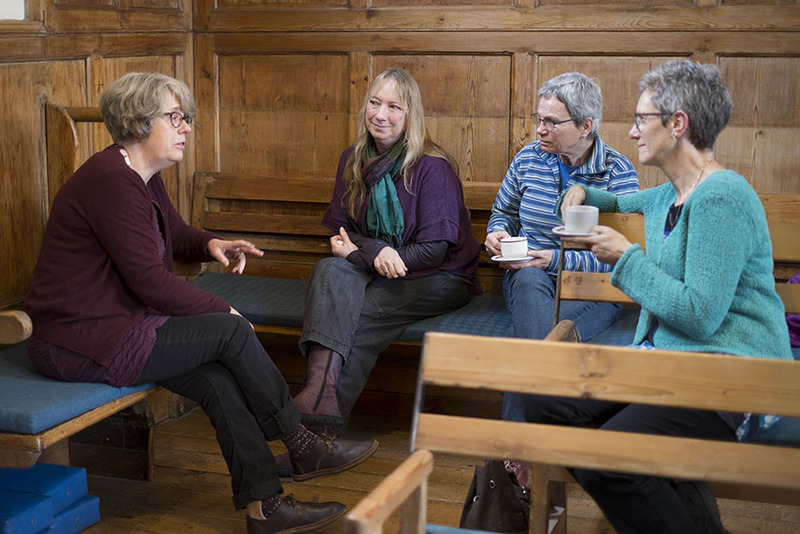 The fact that these quiet confidences remain at the edge of Meeting life and not at the centre, suggests that there is insufficient soil in our Quaker community for such experiences to grow and deepen through our Worship and theology. What is blocking some Friends from bringing these extra-Quaker experiences into the full light and love of Meeting? I suspect that some of this has to do with a loss of confidence in our own Quaker language. No longer have we an adequate spiritual vocabulary for talking about Providence, spirits, grace or presence (whether divine, angelic or demonic). We have in other words, bought into a wider secular culture, which is suspicious of anything extra-sensory, weird or unquantifiable. We have self-censored our Quakerism without necessarily realizing it- leaving those who are having intense spiritual experiences, to look for concepts from elsewhere. Yet, such a reduction of our Quaker speech comes with the danger of a kind of generalized spiritual impoverishment. It may leave us unable to understand things holistically in our Quaker terms. Such impoverishment was recently illustrated by a a F/friend who told me that staff at a Quaker institution of her acquaintance (who felt they were subject to a haunting) had requested that a priest be sent for to perform an exorcism. This set me off thinking about the extent to which Liberal Quakerism acts like Bultmann’s vision of the rational modern religion per excellence and about whether a significant minority of Friends are actually in a different place. 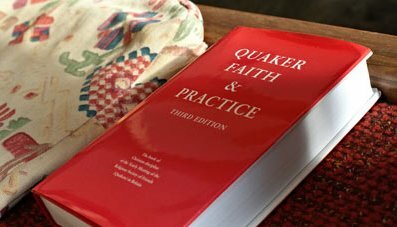 Individual Quakers may have profound, sometimes disturbing spiritual experiences, yet they feel they do not have the home-grown language to express it. To make up the gap they may delve into the language and practices of New Age, Theosophic or Spiritualist movements, or in the case of the Friends mentioned, request help from another Christian denomination. Why the lack of confidence among those Friends to talk in Quaker terms about the paranormal? 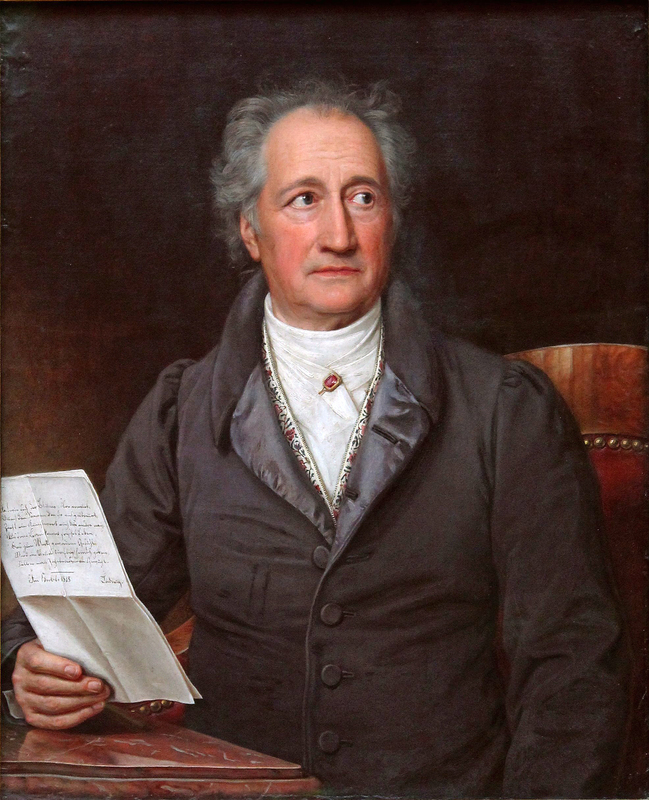 In part I think such silence can be rooted in many of the internal transformations which occurred in Western Quakerism in the late nineteenth and early twentieth century. 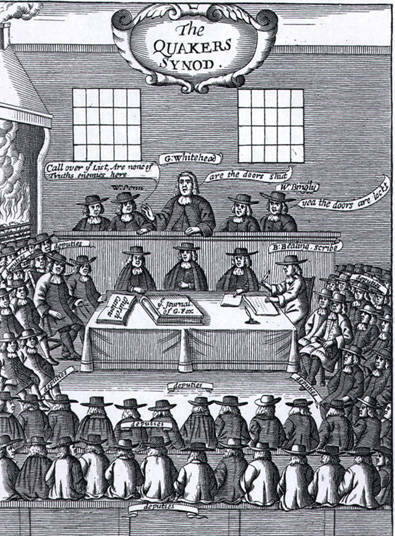 The American Quaker Rufus Jones (perhaps ‘the father’ of our modern pluralistic Quakerism) hoped to recast an insular, peculiar pietist sect (18th century Friends) into a group of liberal mystical Christians, who combined transcendental wisdom and religious rationalism with social action. 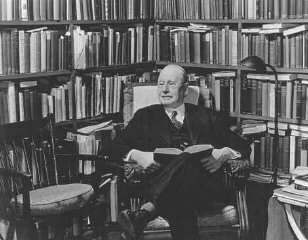 As Jones noted in an article in 1922: ‘We assume that [mysticism] is for saints or apostles, but not for common everyday people like ourselves. Well, that is where we are wrong’. Quakerism for Jones was that perfect balance between what he called ‘transcendent reality’ and the everyday. Yet in brokering this settlement, much was rejected from Jones vision of Quakerism. Not merely were piestic and Evangelical currents largely abandoned, many early currents of Quakerism were also jettisoned. These included early Quaker references to faith healing through touch, a belief in divinely inspired visions, as well as the existence of angelic and demonic presences. Their rejection was understandable. They did not fit with the synthesis of mysticism and activism, indeed they probably appeared positively bizzare and folkish to the high-minded Jones. 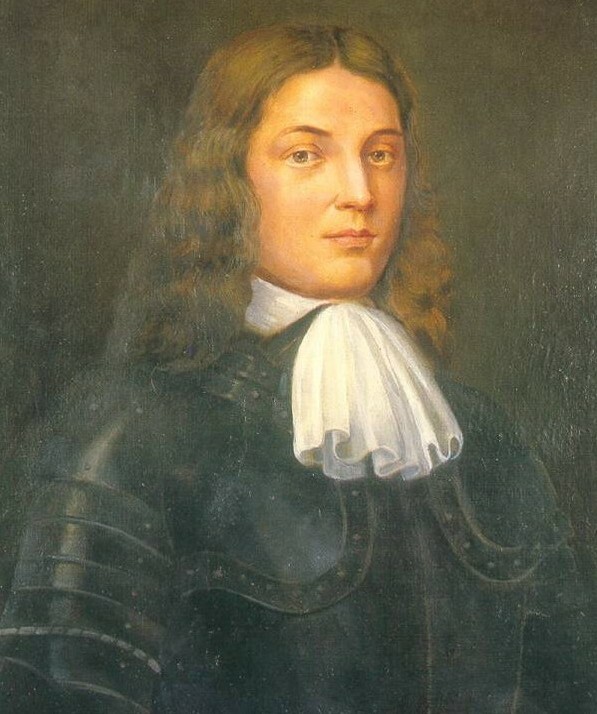 Consequently, these features are explained psychologically or simply played down in Jones’ own assessment of George Fox’s life. This was a culmination of a process which had been underway, at least since the publication of Fox’s Journal. 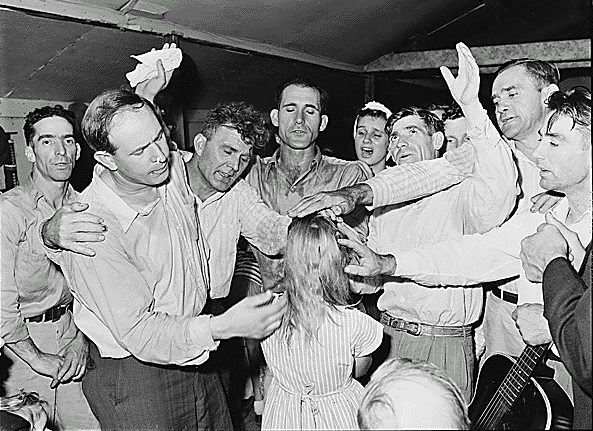 British Friends have always been somewhat uneasy about Fox the charismatic faith-healer, prophet and vision-quester. Jones merely provided an appreciate framework to enshrine such reticence. What were the long term consequences of this framework? Ultimately, such an emphasis could be argued to have denied Friends a language to address issues of strange and the arcane. This gap is most apparent when individual Friends face death and bereavement. How should we face death when the focus of our Quaker language is focused on the Kingdom here and now? What does death mean for the future of the self? What do we do when we sense that those who have died are still with us? But there are other awkward questions prompted by our gap in vocabulary. How do we talk about radical evil? While contemporary Friends acknowledge the healing power of the Light, how do we articulate those experiences of ‘something’ which opposes the Light? In previous generations Friends could have talked about ‘testing the spirits’, even the demonic. Yet, how do we express such experiences today? Power of the inner kind increases with use. It is not unusual for telepathy to develop between those who are close to each other in love. Again, prayer groups increase prayer power, and as the bonds of friendship and trust develop, charismatic healing gifts arise. This type of spiritual study and prayer fellowship has been the most precious part of my life for many years. Such groups sustain and bind people together so that when one falls ill, feels depressed or suffers a bereavement, he or she may count upon the friendship of the others. It is this kind of relationship, where there is both giving and receiving at an inner level, which sometimes extends beyond the grave (QF&P, 2.80). Here we see a new spiritual/subjectivist narrative running contrary to the secularizing trend of latter-day Liberal Quakerism. In Parker-Rhodes description there is a space not merely for faith-healing and prayer but the possibility of a form of relationship with those beyond death. Instead of seeking, rationalist, reductive or empirical explanations for their experience, such Friends seek personal and supra-natural justifications for the religious life. Might these groups offer us a path beyond the silences of 20th century Liberal Quakerism? Only time will tell of course, but a recovery of the Quaker sense of a ‘charged’ world (a world of presence and deep power) has the potential of allowing us to bypass our wordlessness when confronted with the deathly, the spiritual and the occult. We might again be able to recognize the spiritual dimensions of disease and illness as our ancestors did. We may also recover the ability to speak more openly about our mortality and what lies beyond it, without anxiety or embarrassment. We may even recover a capacity to talk with confidence about that which seemingly obstructs the Light in ourselves and others without needing help from other spiritual communities. Thus, our Quaker Renewal could mean more than an attentiveness to the Biblical roots of our story, or an exploration of Theism, but involve a concerted effort to question the assumptions of a civilization which attempts to bracket out the uncanny from our lives. Where might this more holistic, less censored road might lead, is in the end up to us. But one thing seems certain, it is likely to energize and unsettle us in equal measure.